When it became evident that the Galaxy S8 and Galaxy S8+ will feature 3,000mAh and 3,500mAh batteries respectively, many presumed that it would be a repeat of the Galaxy S6 and Galaxy S6 edge. Those handsets ticked all the right boxes but the battery life left a lot to be desired. Fortunately, that wasn’t the case. The hardware that’s found inside the new flagships from Samsung is far more power efficient than what was inside the Galaxy S6 series. Couple that with software optimization and you get decent mileage from the Galaxy S8 and Galaxy S8+’s battery. It has been almost three months since the Galaxy S8 was released and I’ve had it for two of those three months. The reason why I opted for the Galaxy S8+ was not only because it has a 6.2-inch display but because it has the larger 3,500mAh battery. Since my biggest qualm with the Galaxy S6 edge was the battery life, I had hoped that this choice wouldn’t let me down. 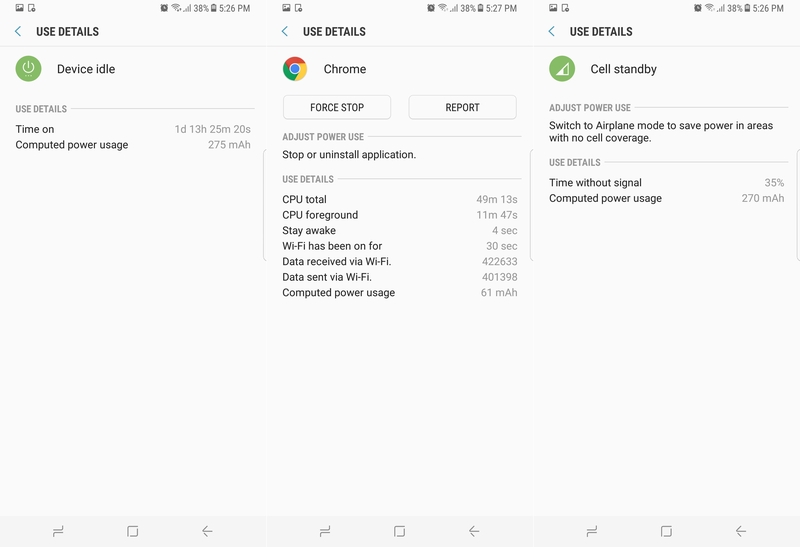 So how has the battery life fared over the last couple of months? 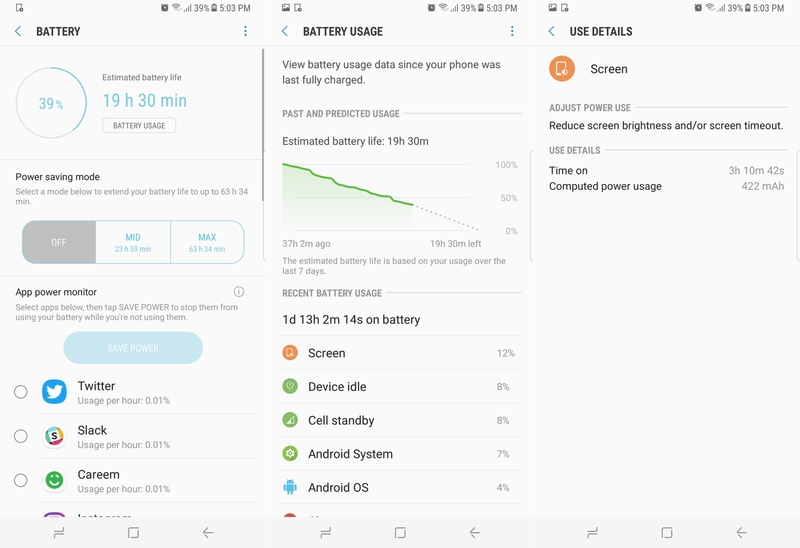 Let us take a look at how the Galaxy S8+’s battery life has been holding up for me so far. Let me start off by saying that your battery life experience could differ because it depends on a variety of factors. We all use our phones differently in different conditions, which is why it’s often similar to comparing apples to oranges when we feel that our device returns less battery longevity than what other users get. I’ve been very impressed with how the Galaxy S8+’s battery has held up so far. Granted that I don’t push the handset as much as others do but even when I have, I’ve always managed to get a day or even a day and a half’s worth of longevity. The Galaxy S8+ is my main device, so it’s locked and unlocked dozens of times per day for emails, Slack, messages, and more. Twitter is the only social media app that I frequently open, so it helps that I have no use for the battery-hogging Facebook app. YouTube is another app that’s used multiple times a day for music and content consumption. Since I’m not that big on mobile gaming, I don’t have any games installed on my device. That I believe is a major reason why on some days I’m able to make it to almost 48 hours on a single charge. Modern mobile games require a lot of processing power and while the Galaxy S8 is more than capable of providing that, it’s asking a lot from the battery. It also helps that my handset is almost always connected to Wi-Fi so it doesn’t have to fallback to LTE data. Most calls that I make or receive aren’t longer than a couple of minutes. It’s not used for creating a hotspot on a daily basis, so that also contributes to the overall longevity. Even though I have the dual-SIM variant of the Galaxy S8+, I don’t have two SIMs installed. However, two months ago, our editor-in-chief pointed out that he was impressed with the Galaxy S8+’s battery life with two SIM cards and Always On Display enabled. So while we still believe that the battery life on Samsung’s flagship smartphones needs to be on par with what its mid-range handsets offer, the 2017 flagship certainly doesn’t disappoint. At this point in time, I feel that the battery life of the Galaxy S8+ fully meets my requirements. I almost always get a full day’s worth of use even when I push the device more than I normally do. On other days, I normally get a screen time of nearly five hours. That, to me, is very impressive. It also helps that according to Samsung, the Galaxy S8’s battery will hold 95 percent of its original charge even after a year, so this kind of battery should hold up a few months down the line. Nevertheless, if you feel that the battery life on your handset could be better, we have a long list of tips that are useful in extending the battery life of the Galaxy S8 and Galaxy S8+. The tips include the use of power saving modes, disabling Always On Display, reducing screen resolution and brightness, etc. Samsung’s Adaptive Charging technology on the Galaxy S8 and Galaxy S8+ does leave a lot to be desired, though. Even with the rapid charging technology the handset still requires almost two hours to go from empty to full. There’s room for improvement here. There are better forms of fast charging on the market that can accomplish the same task in under an hour (or at least get the device from 0 to 50 percent in a shorter time). Hopefully, Samsung will improve on its fast charging technology for future flagship smartphones. How has your experience been so far with the battery life on the Galaxy S8 and Galaxy S8+? Do share it with us by leaving a comment below. When using BT, my battery decreases awfully. I really don’t understand what is the problem with bluetooth???? On S7 edge this was not a problem and I used it just as much (with Gear S3 watch and sometimes car kit). I keep forgetting to add that I am constantly connected via Bluetooth to my Gear S3, and my battery life is still 4hr 40 – 5hr 40 screen on time. Samsung has said that the battery on the S8 will hold 95 percent of its charge after a year, so yes. In fact, Samsung reportedly had said it would hold 95 percent charge after two years, so getting it replaced should no longer be a concern for most folks. I would uninstall the apps you mentioned, specifically Snapchat, WhatsApp and Instagram. Then see how your battery fares after a couple of days. I strongly recommend you leave the display resolution set to the barest minimum. Your eyes would not suffer and text would still look sharper but you’ll be getting better battery life. GPS is a big battery-killer, possibly the biggest one. If you must use location services, select the battery-saving option. I remember when the phone was out the first couple of week. You guys wrote several articles about the small battery in the S8/S8+ and how bad it was. I my self have a S8+ and i’m very glad for the battery life. And I Martin still stand behind that claim. On Wifi it is good yet on cellular it isn’t good. The regular S8 isn’t so good, though. 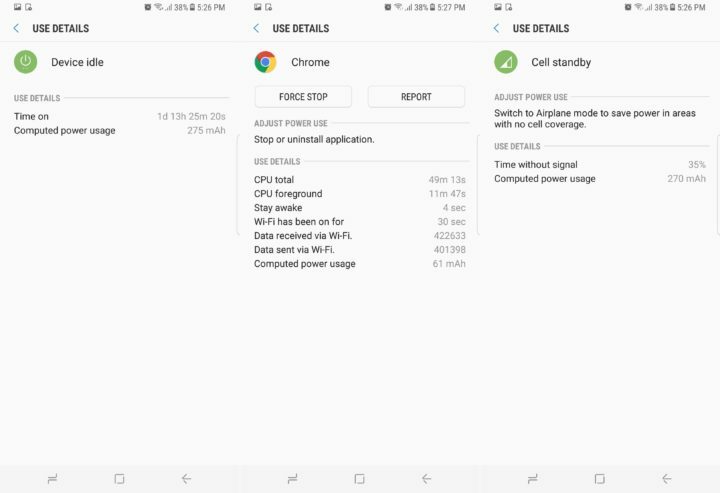 On Wi-Fi it can last till late evening, but start using it on LTE after you’ve gone out of Wi-Fi range (like on any weekend where you spend the day outside), and endurance takes a mega hit. Better do not use fast charge ? Slow charge takes TOO long, but at the same time is still too much to do overnight. also constantly changing the settings on it would be a pain. best to just leave fast charging on and plugging in on the morning when you wake.